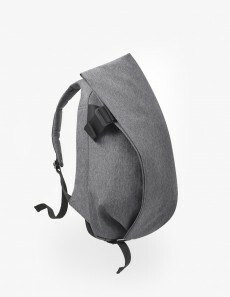 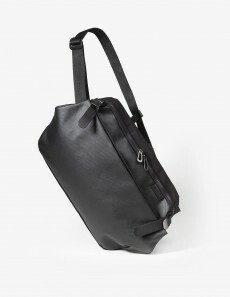 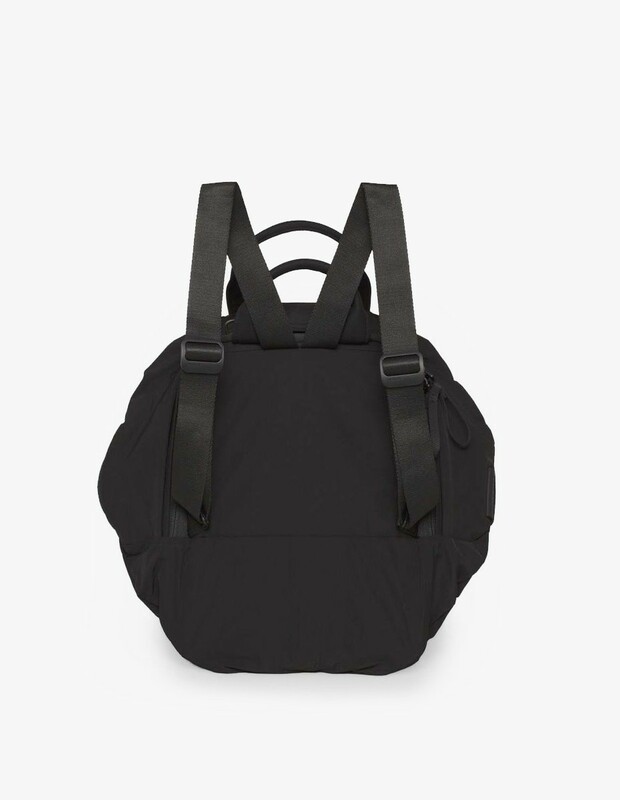 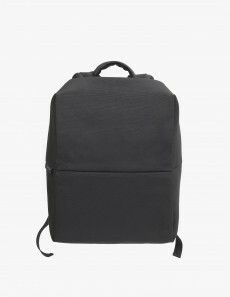 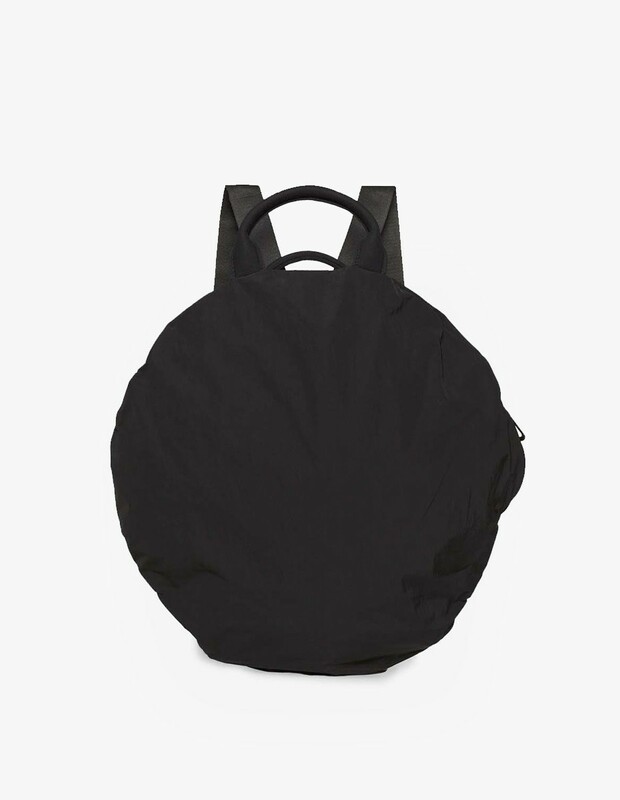 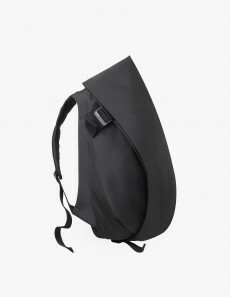 The Moselle Backpack Memory Tech by Côte & Ciel is a hybride backpack and tote bag. 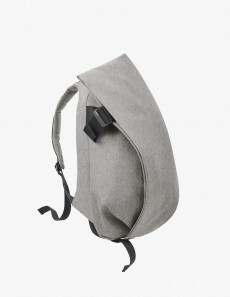 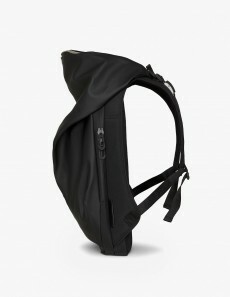 It can be carried as a rucksack, by hand or slung over the shoulder. 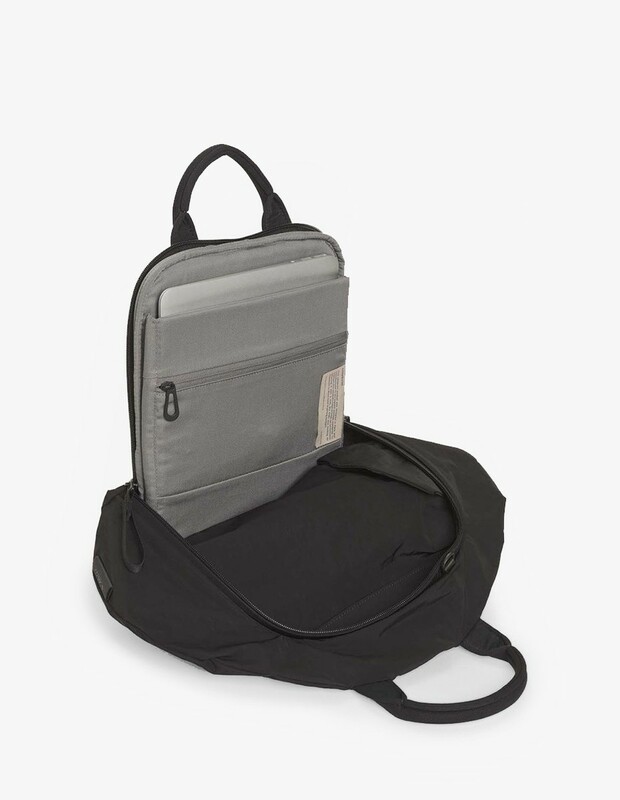 The spherical raindrop shape includes an integral padded laptop compartment for up to 13" devices and an additional inner pocket. 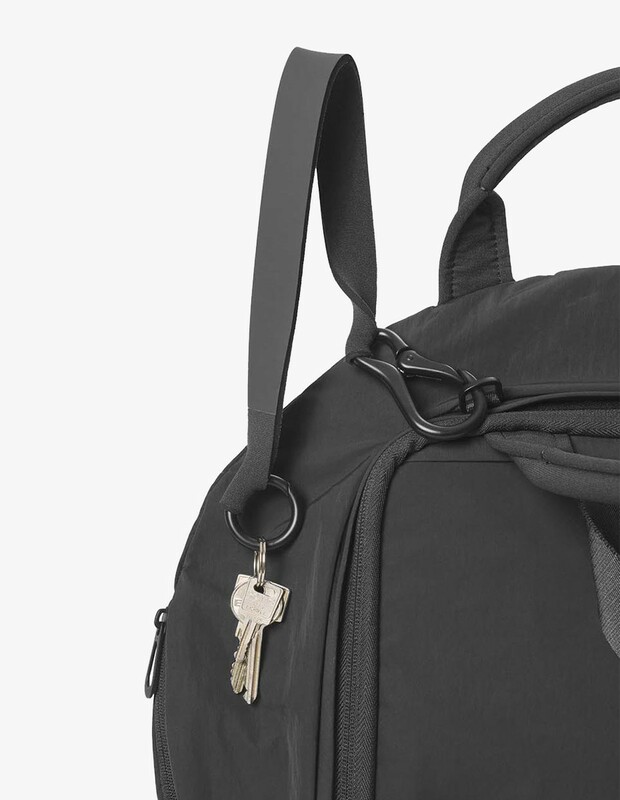 A detachable key ring and external pocket allow for easy acces to your belongings. 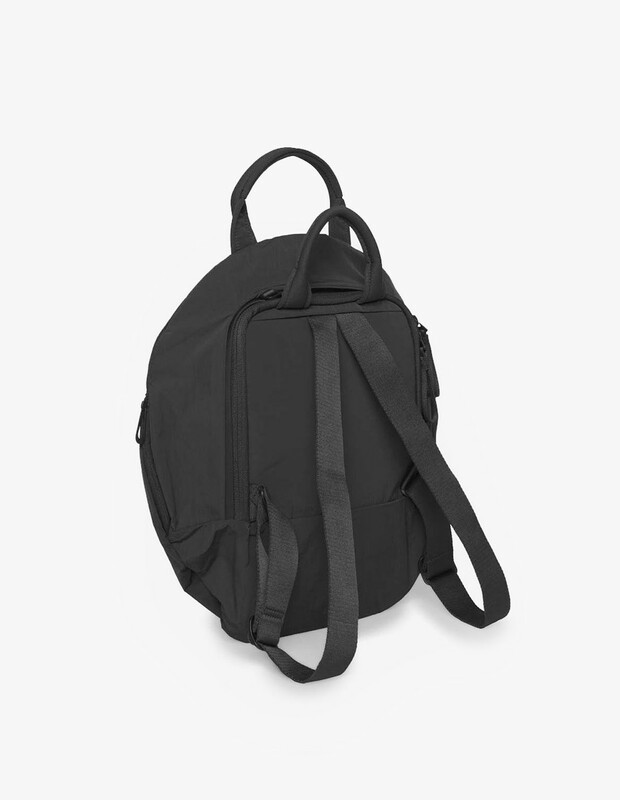 It comes in Black Memory Tech.